lately there was way too much unjust false positive detections of SimShaker - Wheels by antiviral software as something awfully frightening. I understand your concern about that, as the software developer I'm very much concerned too. I've published SimShaker - Wheels version 3.6 which as I expect will be more "antiviral software friendly" and make our lives easier. By this time Microsoft Windows Defender Response and Avast antivirus specialists kindly informed me that they have cleared SimShaker - Wheels reputation it their databases. In this version 3.6 I've also tried to workaround ACC 0.7.x telemetry issue caused Road Surface/Bump Effect not to work. Since this is just a workaround you will probably like it less than a regular effect we had before ACC 0.7.x and still have in AC. But I think it's better than nothing. 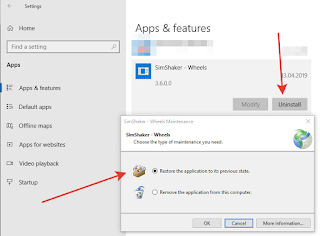 As usually in order to get this update you should start SimShaker - Wheels Launcher twice. 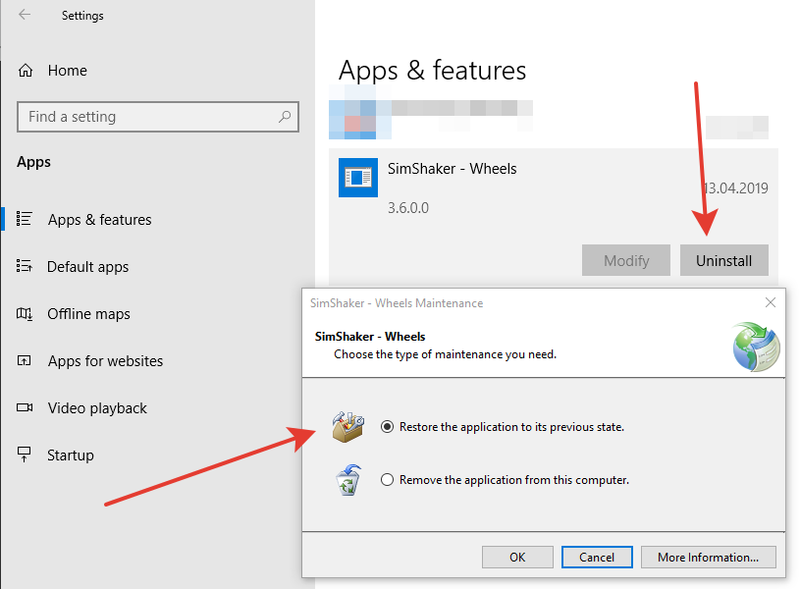 PS if the application fails to start after the update along with a message asking you to contact a software vendor, please, try to re-install SimShaker - Wheels software or restore it back to a previous state via Windows Control Panel - Programs and Features tool and let it start the update process once again. this version features updated support for RaceRoom Racing Experience to meet its latest shared memory version 2.6. In order to get this update you should start SimShaker - Wheels Launcher twice. in this version support for IL-2 Great Battles and JetSeat Race edition added. JetSeat Race edition support may be selected at Output options of SimShaker - Wings main window by radio button. You can find the link pointing to beta version in the end of SimShaker - Wings User Guide.